Take Control of Your Backups! For a limited time, get 20% off the regular price of ChronoSync! For a limited time, get 25% off the regular price of ChronoSync! 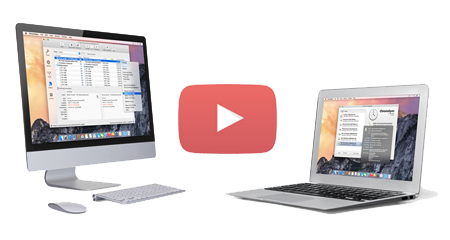 Synchronize files between Macs, PCs, NAS devices and cloud services. Backup files locally to hard drives, flash drives & SD cards. Backup files remotely to file servers, NAS devices and cloud services. Create bootable system backups to local & remote hard drives. Use the Validator to verify that the data & metadata match. Setup Assistants to guide you in setting up or modifying a sync task. 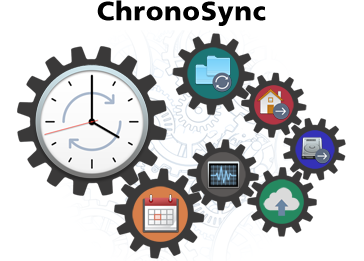 Schedule tasks to run hourly, daily, weekly, monthly or any combination. Schedule tasks to run when triggered by an event like when a file changes. Preview your syncs and backups interactively using the Trial Sync function. Create archives containing older versions of deleted or replaced files. Perform byte-for-byte verification of all copied data. Filter what types of files should be processed using sophisticated rules. Send completion summaries via email or push notifications. Econ Technologies reserves the right to modify or remove this offer at any time.